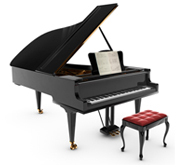 Our professional movers can help you move large, delicate or hard to handle items including pianos, gun safes, pool tables, grandfather clocks, antiques and much more. Whether you need us to pick up the item at the point of purchase and deliver it to your home, move it from one room to another or move it across country, our experienced moving crews use special techniques to handle delicate and oversized items with ease. Just contact us for more information. Do you need to relocate employees from one area of the country to another? 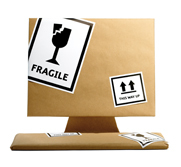 Charles E. Groff offers corporate relocation services locally and around the country. Just contact us for additional details. We'd be happy to be your moving specialist in the local Harrisburg, Lancaster, or York, Pa area or around the country! Contact us for details! Whether you are relocating your business down the block or across the country, we have extensive experience in relocating commercial offices and the right equipment to handle any commercial moving project. At Charles E. Groff we understand your need to minimize the interruption to your business caused by the move and the importance of being back in operation as soon as possible. Let us make your life easier during your transition from one office to another. 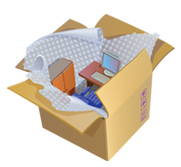 Just contact us for details for your next corporate move. When moving takes you around the world, Charles E. Groff has the experience to ship your items from door to door and handle all the details in between. We are an authorized agent for American Red Ball and bring over 35 years of experience to international moves. We offer a single source of accountability, providing seamless service you can trust. 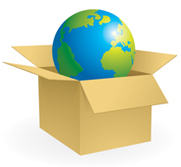 Contact us about your international move and talk with one of our international relocation specialists who will help you assess your moving needs, explain the use of a variety of packing techniques and shipping containers and familiarize you with customs restrictions and the requirements of your destination country.